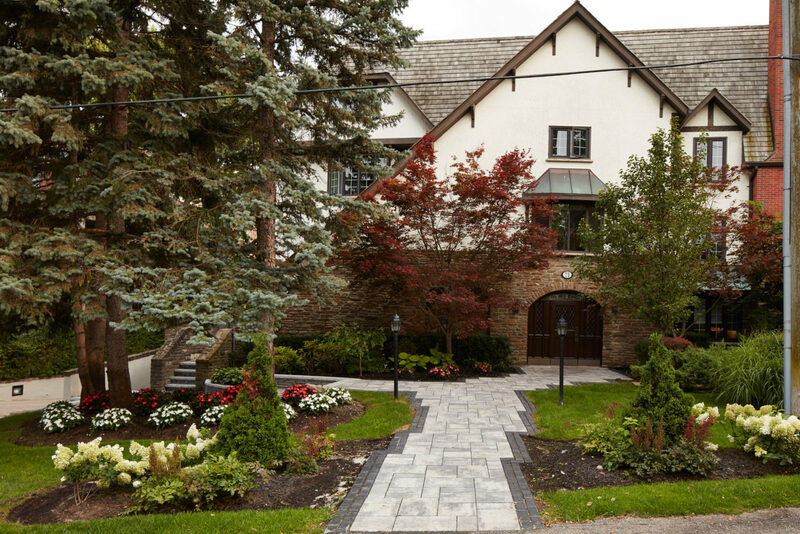 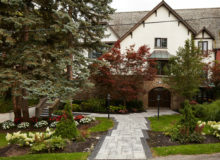 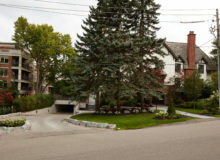 New driveway and walkways were needed for this traditional multiplex residence. 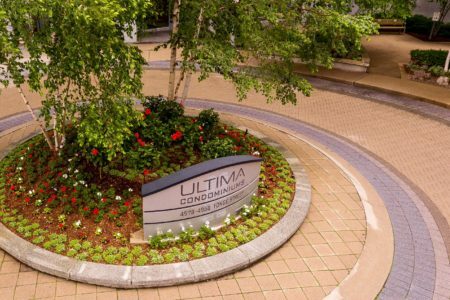 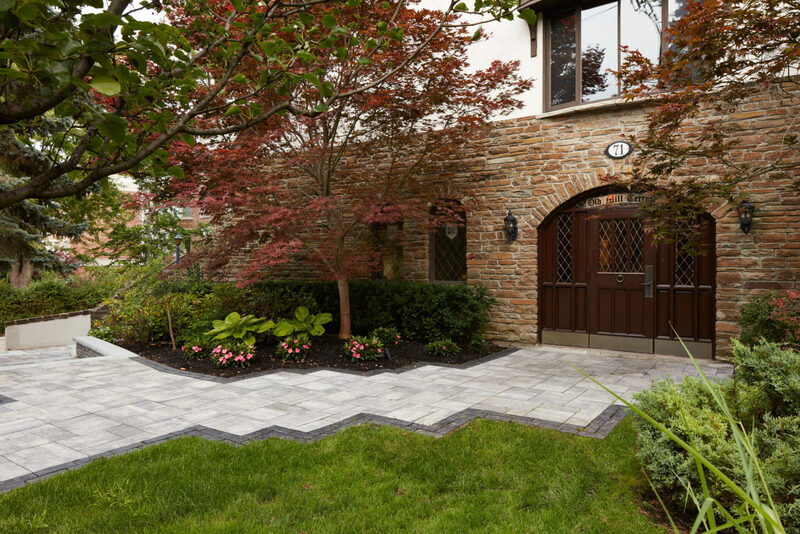 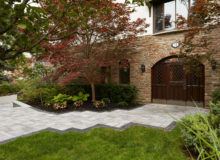 Landcare balanced the traditional aesthetic with modern materials to enhance this condo’s curb appeal while ensuring it’s residents are able to park and walk the property safely year-round. 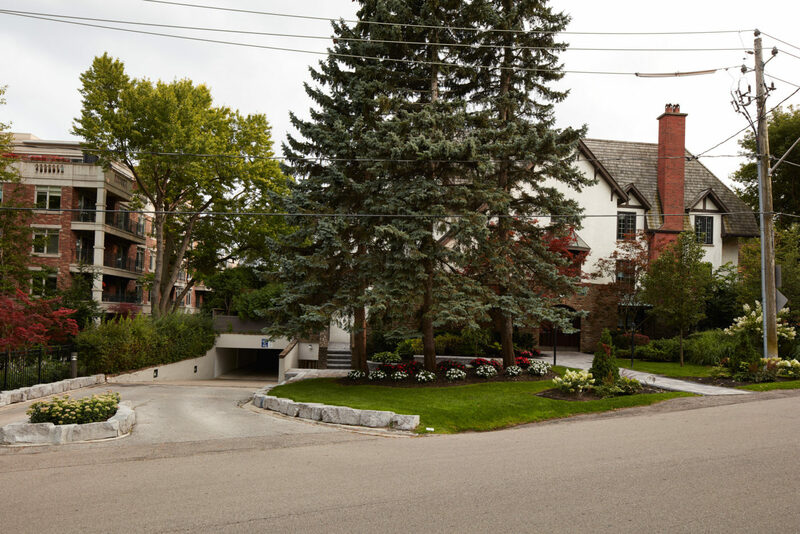 Located in the heart of a residential neighbourhood, the property fits in with garden beds and pathways that look like they are part of a single owner dwelling. 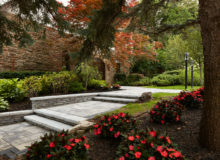 Mulch and edging along with easy to maintain shade annuals and hydrangeas create tidy and easy to care for garden beds. 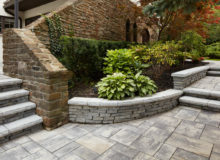 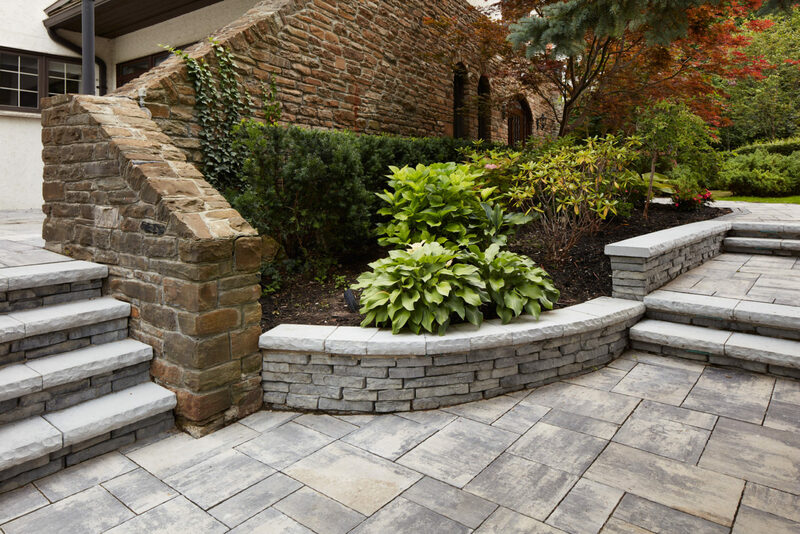 Interlock pathways and stairs are in a natural stone grey but are edged in a darker brick to define the jagged edge and give more visual appeal. 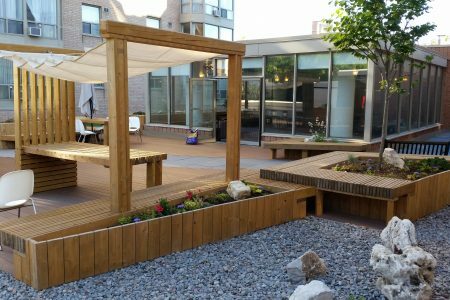 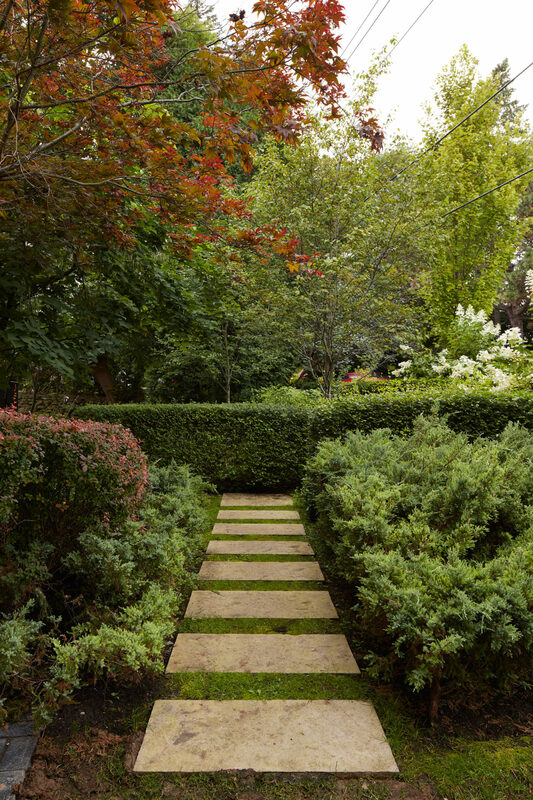 Curved raised garden beds wrap around and soften the corners of the building to contrast the central path, giving a more interesting experience as you walk the property. 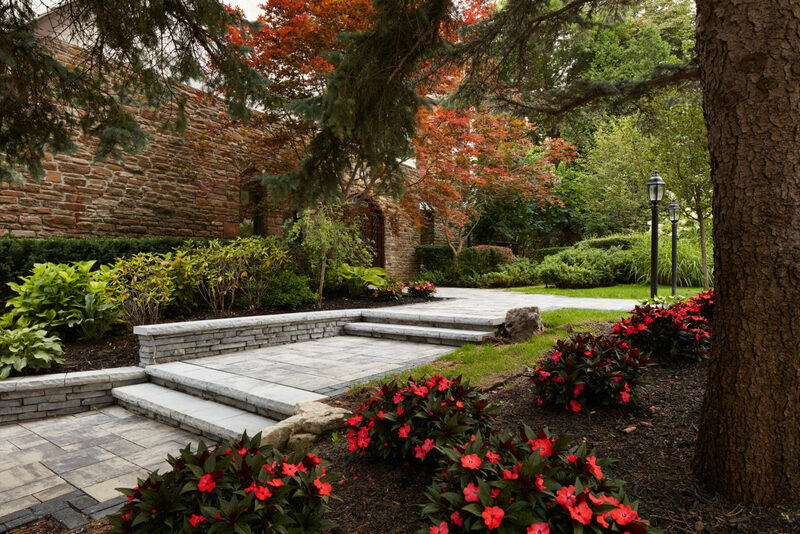 The evergreens on the property allow this property owner to grow rhododendrons in among the hostas along the stairway to the front door. 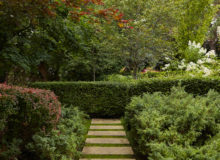 All of these plantings contribute to the illusion of a manor home in the country.